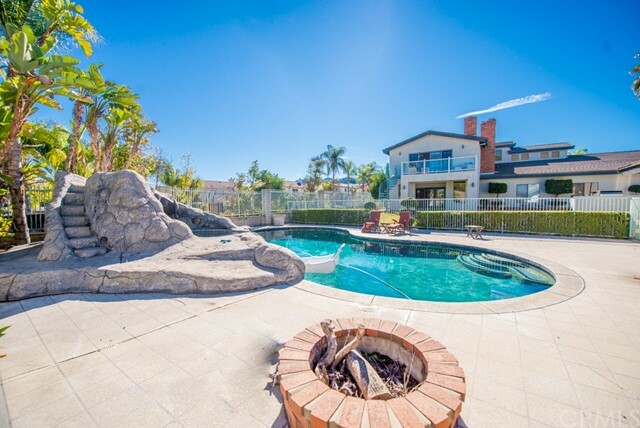 Private and secluded, entertainers home located in a sought-after enclave of corona. This unique property was built for comfort, enjoyment, privacy! Upon entering the property through the deep and gated driveway you come across the pool room, complete with a open game room, bathroom, fireplace, laundry area and kitchen. Which can be used as a private sleeping quarters, media room, man cave or workshop. Bask in the sunshine while playing/exercising in the custom built swimming pool and enjoying the water slide, spa and bbq area. **two** of the 5 expansive bedrooms are master bedrooms with their own private bathroom, large walk in closets and a fireplace, one of the master bedrooms includes a balcony, and the other has a private patio to lounge and enjoy your favorite beverage while admiring the relaxing view overlooking sparkling city lights, swimming pool and snow-capped mountains. The completely remodeled kitchen is a chef's delight featuring a pantry, island and breakfast area. Enjoy delicious meals with family and guests in the impressively huge formal dining room. Adjacent to to the dining room is the spacious and accommodating family room which includes a warm and inviting fireplace. Other amenities, jack & jill bedrooms, laundry room, 3 car garage with direct access. Low maintenance yard with drought tolerant plants. The home sits on 1. 15 acres and is surrounded by fruit and mature avocado trees. Itâ€™s a must see. For more information or make an appointment to see property ID IG18280785.